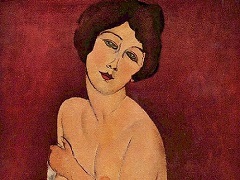 "I do not know that anyone, before Modigliani, succeeded more in putting more intense expressions on the face of a woman," ehthuses Francis Carco, "Art today only needs to make more meticulous copies. 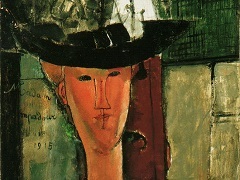 Modigliani makes a mockery of its practitioners' reluctance to analyzee their own consciences." 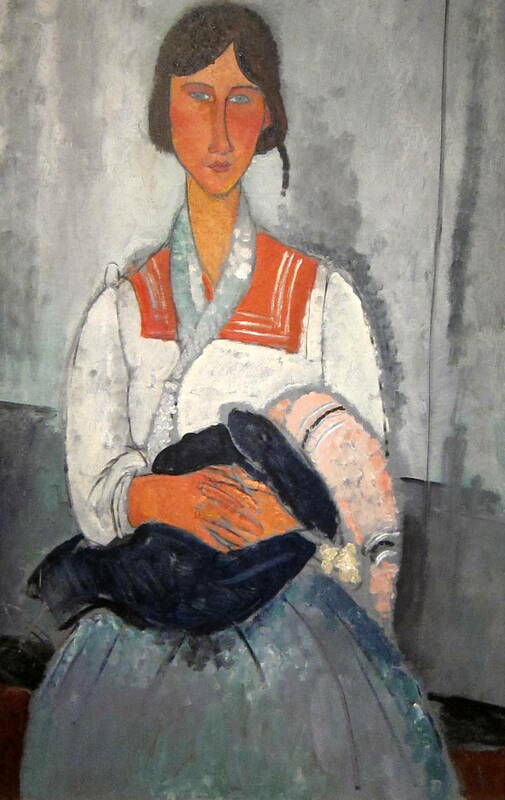 This painting, Gypsy Woman with Baby looks simple, but that'ss a deception: there are deep undercurrents of art historical awareness here, especially of an Italian heritage. See her oval face (which shows mask-like indifference or incisive characterization, depending on your taste), which recalls the long visages of a Botticelli. The elongated forms of her body (the neck most remarkably here) echoes Mannerists of the 16th century. And the sinuous lines that dance down her skirt, over her chest and alongside her face slink in the same way as Sienese painters of the 14th century. 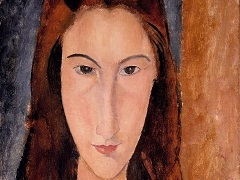 So it is, that in his art of assembled, ever-so-subtle influences, we must see Modigliani as the greatest Italian artist of the 20th century, and not a French-formed painter at all.